The good news is that since 2015, Texas has improved access to higher education through 60x30TX, the strategic plan developed by the Texas Higher Education Coordinating Board. 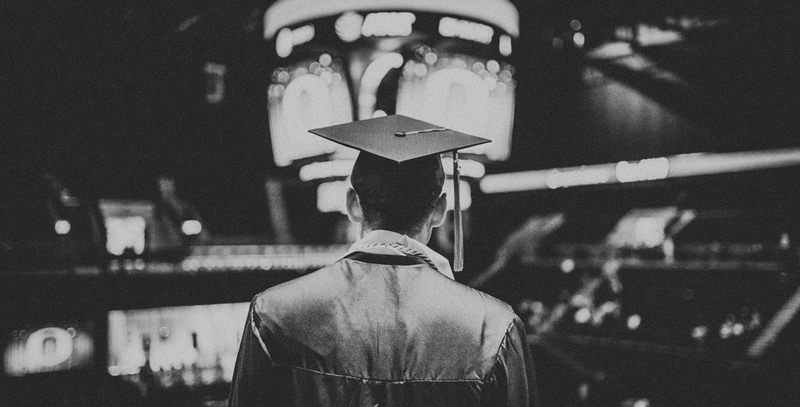 60x30TX has set a goal that 60 percent of young adults (ages 25-34) will hold postsecondary credentials by the year 2030, and proposes that each graduate’s debt will not exceed 60 percent of his or her first-year wages. This effort is commendable. But if we are to achieve the goals of tomorrow, we must take steps to remove barriers to educational attainment today. According to The 101: The Higher Ed Poll of Texas released in January, Texans consider cost as the primary obstacle to obtaining degrees, and they worry about student-loan debt. The poll also found that more than 90 percent of Texans agree that it is essential to have an educated workforce if Texas’ economy, the second-largest in the nation, is going to compete with other states. Texas legislators can allay these concerns and advance the future of higher education during the 86th legislative session, through the passage of Senate Bill 1770/House Bill 3657 sponsored by Sen. Paul Bettencourt, R-Houston, and Rep. Chris Turner, D-Grand Prairie; and Senate Bill 1758/House Bill 3382 sponsored by Sen. Brandon Creighton, R-Conroe, and Rep. Leo Pacheco, D-San Antonio. These bills make more financial aid opportunities available to students pursuing degrees in high-demand fields like nursing, teaching, community services and STEM, and to students enrolled in full-time competency-based education (CBE) baccalaureate programs at non-profit, accredited institutions. The demand for convenient, accessible and affordable educational opportunities with great outcomes is increasing as the workforce experiences a pace of change unlike any other time in history. This accelerated pace, instigated by technological advances, has led to the sunset of finite training and educational experiences — and ushered in an era of continuous learning. This era has seen the birth of new academic models of learning — in particular, models driven by innovation and reimagined to put higher education within the reach of more people through competency-based, online learning that requires students to demonstrate mastery of knowledge rather than seat-time in a classroom. 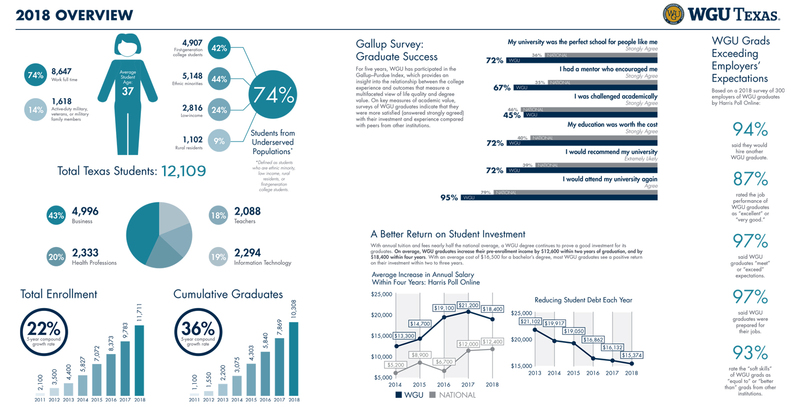 WGU Texas, an online, accredited, non-profit university, is especially well-suited to adult students who come to college with varying levels of learning styles and knowledge. WGU Texas currently has the largest and most established CBE program in the state, with enrollment at more than 12,000 full-time students, and it has thoroughly prepared its more than 10,000 graduates to enter the state’s most in-demand jobs. While education models have evolved, policies and financial aid eligibility requirements have not. Under current state policies, WGU students are not eligible for any Texas state aid. We need these policies to adapt to our changing education models and workforce needs. We feel that any financial aid for Texans needs to follow the student, not the institution. As we learned from the findings of The 101 poll, there is an increased likelihood — with the right support, resources and access — that Texans can complete their pursuit of higher education degrees or certificates. But that access depends, in part, on being eligible for state-based financial aid. WGU Texas wants to serve as a partner, helping the state achieve its higher education goals, meet workforce demands and solve the labor shortage. In order to do that, we need legislators to meet the financial aid needs of Texas college students. By opening the pool of state-based financial aid dollars to WGU Texas students pursuing degrees in high-demand fields and to all students enrolled in accredited, CBE programs, the Legislature will make a critical investment in human capital, our state’s most valuable resource — and in turn, strengthen our workforce, our economy and our ability to compete in an increasingly competitive world.